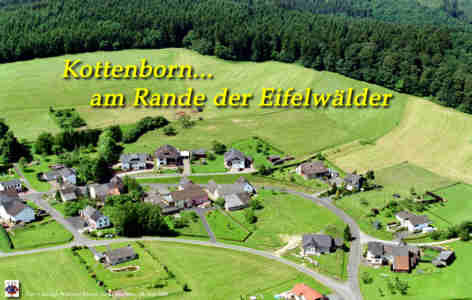 Kottenborn is surrounded by grasslands and forests. It is the starting point of wonderful hiking trails with lots of wooden benches for resting. Ramblers will love it! In addition you can trace old mills or the knights of an order. Of course the corresponding maps are available. Experience the "Green Hell" with your bicycle! Nürburgring the "Green Hell" - the old Nordschleife passes through endless woods all around the Nürburg. The ups and downs of the track may remind you of a rollercoaster. What a fascinating distance profile! Just as much challenging as the racing track itself is the mountain bike track leading right through the "Green Hell". These wonderful and multifaceted 30 km are a must for every mountain biker. You will drive along beautiful forest tracks as well as high mountain roads. If you like climbing you will have a chance to do so at the very first kilometres. It's a promise. Starting from the historical "Buttermarktviertel" in the Hocheifel town Adenau the track is climbing 300m altitude difference on 5 kilometres. The track reaches its highest point at "Hohe Acht" - the highest mountain of the Eifel. On the last part of the track you can experience rapid descents. Narrow roads are leading straight downhill. This is where rain has washed deep flutings in the course of time. The racing track appears now and then all along your tour. All the legendary track sections can be "experienced". Like "Bergwerk" - which gained sad fame due to the accident of formula 1 world champion Niki Lauda. Or "Karussel" where many a decisive battles had taken place. The town Adenau (about 4 km away from Kottenborn) offers a lot of activities like swimming pool, tennis-/sport court, horse riding and lots of historical sight seeing. Not far away from Adenau, the ski-region Hohe Acht can be found. Skier and snow fans will simply love it. 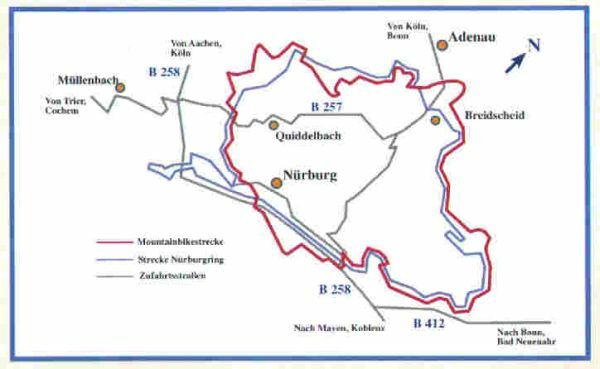 The "Erlebniswelt Nürburgring"offers you the opportunity to experience motor sport and is a must have seen for all motor sport fans. In addition to the activities above we would like to suggest you to visit some of the famous Eifel attractions. For example the "Laacher See" with its monastery and the natural history museum. Also an attractive destination is the castle "Eltz" or the town Daun with the surrounding beautiful maars. Especially in spring and summer it is worth to visit the Mosel or Ahr Valley. An interesting excursion destination - not only for kids - is the bell foundry in Brockscheid, the wildlife park in Daun or Gerolstein as well as the water park in Bad Münstereifel.